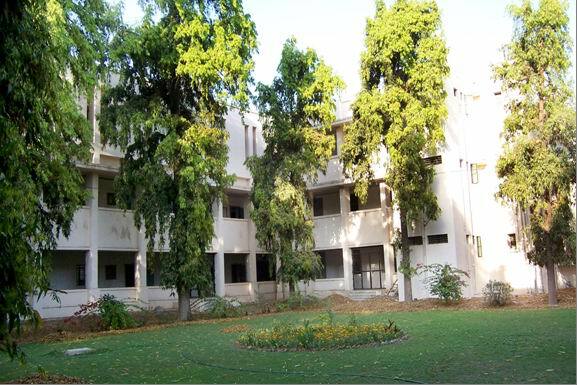 Gujarat University, Navrangpura, Ahmedabad - 380 009. The University School of Languages is a school of seven post-graduate departments of various languages. Out of these seven departments there are two departments, viz. The Department of Sanskrit & THE DEPARTMENT OF Prakrit-Pali which provide the facilities for learning old Indo-Aryan languages. classical languages. Seventh is THE DEPARTMENT OF Linguistics, which trains students in linguistic analysis of a language. In the age of globalization, when “Translation Studies” is of utmost importance the school also runs a one year P. G Diploma course in Translation. In this way the school on one end takes care of its national muti-lingua heritage and on the other end the present-day need. These seven departments are working under one umbrella of the "University School of Languages", while teaching these various languages each department has also taken care to teach a vast range of literature written in that particular language. 2. M.Phil (Three Papers + Dissertation) in Sanskrit, Gujarati, Hindi & English. 3. Ph.D. in all subjects. At M.A. level, And P.G. Diploma in Linguistics. [B] 1.Post –Graduate Diploma in Translation – By the Dept. of Hindi. Self – finance Course for one year. 2.Certificate Course in Urdu Language -- By the Dept.of Urdu. Self – finance Course for four months. * In the beginning a name of the school was "University School of Gujarati Language & Literature" (1957 - 1964). But after inclusions of other departments in the school it was renamed, viz. "University School of Languages" in 1964. The school is also known as "Bhasa Sahitya Bhavan”.